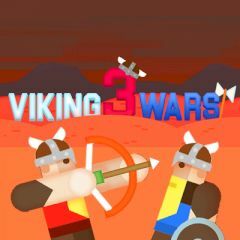 Vikings are back again with a new challenge. This time every viking has a chance to use a bow, so there will be more options and strategies. Jump, move and hit your opponent with a sword and push him off the platform. Make sure to pick bow tokens and get huge advantage. Enjoy playing and get five rounds first to get victory.